Need something to hold all those Zoltar fortune cards that you’ve been collecting? Or even just a cool magnet of the famous fortune teller to hold up the grocery list on your fridge? 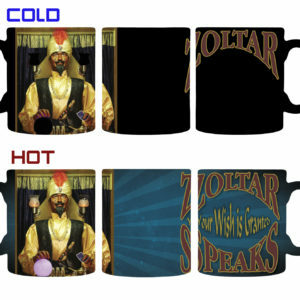 Our Zoltar Speaks Magnets measure 2.5” X 3.5” and include a high quality image of our deluxe Zoltar machine.